The year is 1179. The place is Rome. It is the Third Lateran Council, and a small group of men stand before Pope Alexander III. One of them is named Peter Waldo. They are known as Waldenses or Poor Men of Lyon. They have come to Rome to ask permission to preach, after the Archbishop of Lyon had forbidden. The answer was no, they could only preach with the permission of the bishops. They ignored this decision and preached anyway. One thing they denied in their preaching was the authority of the church. Assisi. Image from Wiki Commons. The year is 1209. The place is Rome. Twelve men stand before Pope Innocent III. One of them is Francis of Assisi and the other eleven are his disciples. They have come to Rome to ask permission to preach and to found a new order. Innocent gave his blessing and the Poor Franciscans were formed. 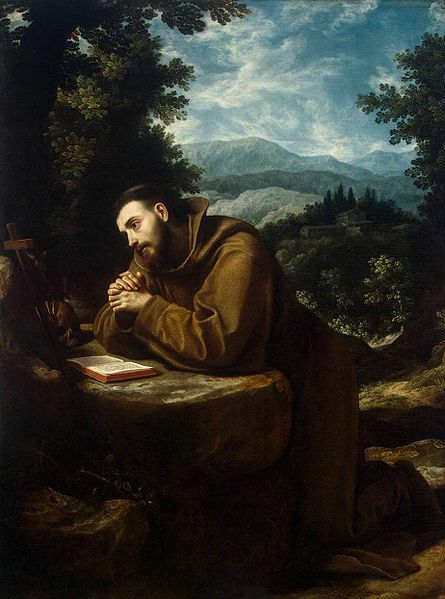 Francis would found two more orders and was declared a saint after his death. One of his main messages was against the gathering of wealth by the Church and by clergy. He said that to follow Jesus is to give up all you have and give it to the poor. The year is 1414. The place is Constance, Germany. 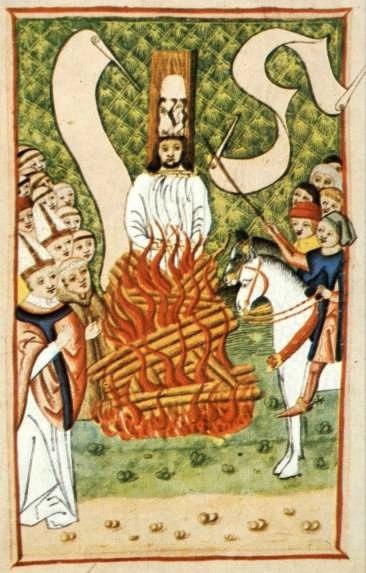 It is the Council of Constance, and John Hus, after being promised safe conduct by the Pope and Emperor, is arrested and put to death. His message was that the Church needed to be reformed and return to the scriptures. Throughout history, there have been reformers, wanting to change the established order. Sometimes the order has listened and changed. Sometimes they have tried to crush the dissenting voice. But either way, change has come, sometimes immediately, sometimes centuries later. You can find this pattern in every place and time on earth. It is the natural order of things. Change occurs, then settles into the norm and stops changing, then prophecy or reform or dissent come and stir things up, then things settle again. And the cycle continues. Most of my ideas on this came from the book A History of Medieval Christianity - Prophecy and Order by Jeffrey Russell. These two Twins are one way to view history. Establishment and Prophecy. Order and Chaos. Orthodoxy and Heresy. A constant dance between the two. Establishment breeds prophecy, prophecy changes establishment and brings a new establishment. The reformers of one generation are the establishment of the next. In Taoism, the established order is Yin. Yin is settled, still, static, passive. It only acts if Yang acts on it. Change, revolution, is Yang. Yang is dynamic, moving, active. There can be no change without Yang, but there can be no stability without Yin.